• Most of the bombs now have skip bomb effects on water (the two types that have not yet are SC 50 and GP 40lbs). 1. 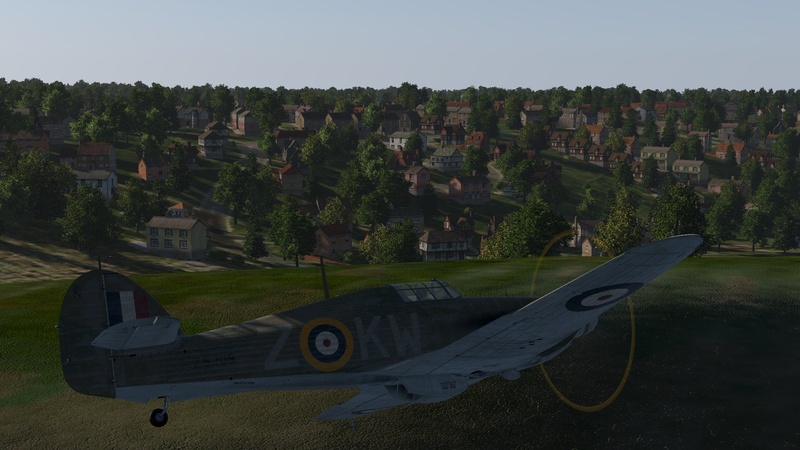 As usual, please be sure to delete your cache folder (in your 'Documents/1C SoftClub/il-2 sturmovik cliffs of dover' folder) before running the game again. 2. Unfortunately Avast and AVG Antivirus (and only those, belonging to the same company) have repeatedly and falsely considered Cliffs of Dover's Launcher64.exe as a possible virus. There's nothing we currently can do about this. If you are using one of the two and are having trouble starting Cliffs, please set the Launcher64.exe on their whitelist. Sorry for the inconveniences. 3. Make sure to rebind your Prop. pitch Automation key to the new 'Toggle Propeller Pitch Mode' in Control settings if your auto pitch is not working in aircraft with auto pitch... as in Bf109E-4 and Bf-110C models. Anyway, we hope you enjoy it. Last edited by RAF74_Buzzsaw; Feb-22-2019 at 17:36. Nice job TF, keep up the good work! Thank you a lot for 4.55, very appreciated. I love the video, especially the M.202 and D520! Well done Gents. I know some Italians will be happy! Молодцы. Ждём версию 5,0. Скажите сглаживание в игре работает? Пожалуйста, задавайте свои вопросы в разделе форума на русском языке. Awesome!! Thanks so much! The new textures are absolutely beautiful! And I'm not sure if it is just collateral (cleaning things up), but the AI are actually fighting!! Both sides! This is great!!! Cannot wait for paid add ons! These new smoke trails are so terrific! Well done! Hitting is much harder now, though. I am missing target all the time. there are still 3 contrails with artifacts up high. Yes, we know, hotfix out on Monday... fix has already been tested, but it seems our Steam guy is off for the weekend. Good job all with TFS, keep up the hard work. Edit: The new textures are looking good down low TFS! Last edited by Blade_Meister; Feb-24-2019 at 01:03. Dang! I didn't even spot one of 'em before you bounced me earlier today! Love the work guys! So much good stuff! That Dewo520 looks fun! That 202 looks like it's going to be a blast as well! Man I can't wait! All the 3d modeling and textures look amazing! Thanks TFS! "A chap could bend a Spitfire with one finger" Wing Commander Tom Neil. Thanks for the update Bonkin. Great News & have downloaded he newest patch & i am once again ready to contribute $$$ to this great cause as soon as 5.0 appears!
" any failure you meet is never a defeat; merely a set up for a greater comeback "
" He who never changes his mind, never changes anything," Sir W. C, and GBS.